A national campaign promoting responsible pet ownership. 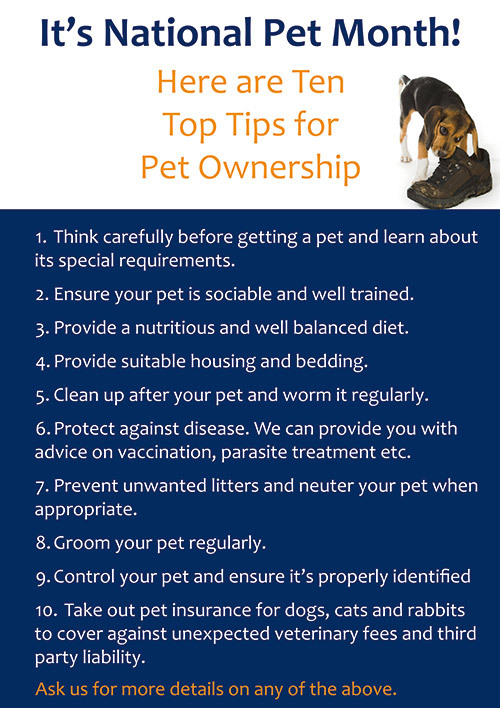 There are so many things to think about when choosing a pet or caring for one – from the importance of researching into different species and breeds before getting a pet, to preventative health care, socialisation, grooming, neutering and much more. Please ask us for advice on any of these important topics.